Little fanfare accompanied the arrival of the U.S. Army’s 1st Special Service Force at Fort William Henry Harrison, just outside Helena, in July 1942. The force, considered the forerunner of today’s Green Berets, was one of the most colorful and unusual military units in American history. 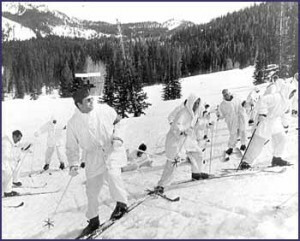 Helena was chosen as the training camp for the top-secret unit, and during the summer of 1942 construction workers worked furiously to ready the camp for military use. Bob Plunkett of Missoula was a “newly minted” second lieutenant when the force recruiting team arrived at his Officer’s Candidate School. “I was one of those they picked,” he said. By mid-August 1942, most of the force had been assembled and the camp was taking shape. The forcemen shattered a number of windows in Helena while enthusiastically practicing their demolition skills, but the mayor refused to bill the Army. 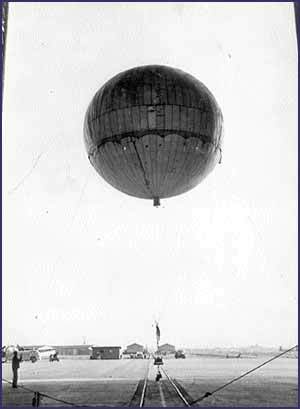 Broken glass was only one of many contributions Helena citizens would make for the war effort. The men of the First Special Service Force were some of the best-trained soldiers in the world when they left Montana. The U.S. and Canadian soldiers of the 1st Special Service Force spent their days parachuting and learning to ski on the Continental Divide, and their nights practicing hand-to-hand combat skills against each other and the local cowboys and miners. The residents of Helena adopted the forcemen as their own. 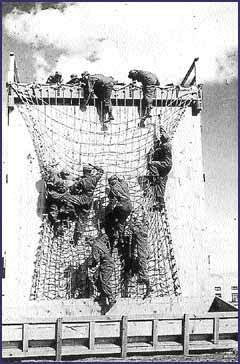 They regularly watched the parachute training and sometimes invited the soldiers home for Sunday supper. Almost 200 marriages took place between local girls and the forcemen. Most of this training would never be used, however. At the insistence of the Norwegian government-in-exile, who feared that their country’s infrastructure would be destroyed by the force, the army canceled Project Plough. The forcemen would never use their parachute training, their skiing skills, or their beloved Weasels. On April 6, 1943, the 2,300 men of the 1st Special Services Force paraded through the streets of Helena. They were bound for the Aleutian Islands, where they were now assigned to assault the Japanese-held island of Kiska. Only after the forcemen paddled ashore in rubber boats did they discover that the Japanese had evacuated the island. From there, the men of the 1st Special Services Force were sent to North Africa, and on to Italy, where the well-fortified Germans were dug into the mountains of Italy. In a night assault on the second of December, the Forcemen attacked a German stronghold on Monte La Difensa. 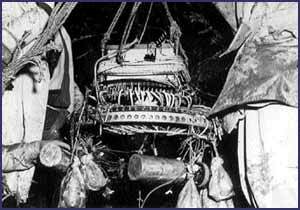 Using ropes, 600 men climbed all night, surprised the German garrison and captured the peak in a fierce two-hour fight. Their winter training at Helena proved invaluable as the forcemen attacked one German stronghold after another in the steep mountains of Italy. They excelled at the hand-to-hand combat in the frozen mountains. The 1st Special Forces captured Mount Radicosa during the battle of Cassino, but took so many casualties that by Jan. 17 only a quarter of the men were fit for combat. The rest were dead, wounded or missing. They were relieved for a few days of well-deserved rest. The 1st Special Services Force hit the beaches of Anzio in February, and the unit quickly became legendary. The forcemen darkened their faces and spent their nights patrolling behind enemy lines, and the Germans quickly learned to fear the “Black Devils of Anzio.” It was also at Anzio that Bob Plunkett stepped on an anti-personnel mine and lost his leg. 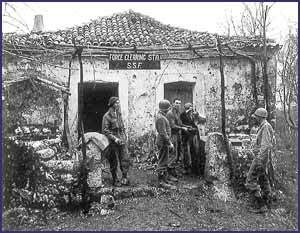 A First Special Service Force outpost at Anzio. On May 23, the Allied troops broke out of the beachhead at Anzio, and the 1st Special Services Force spearheaded the attack, leading the way into Rome on June 4, 1944. Nine weeks later, Allied forces, including the First Special Services Force, landed in southern France. The Forcemen assaulted two German-held islands, then moved along the French Riviera, helping to liberate Nice and Cannes. Many of the forcemen who trained at Helena returned to Montana after the war, including Bob Plunkett. The veterans of the 1st Special Service Force still hold reunions each year, and although time has diminished their numbers, hundreds of forcemen and their spouses and children are expected to attend the next reunion, scheduled for August 2002 in Helena. Read about the death of the last two members of the Devil’s Brigade living in Montana. Senator Max Baucus introduced a Senate resolution to honor members of the First Special Service Force. Need more information of the First Special Service Force? 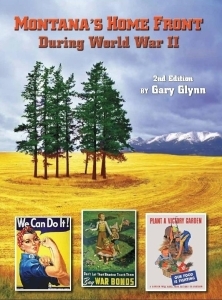 Check out Montana’s Home Front During World War II.